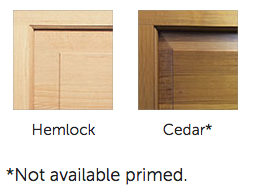 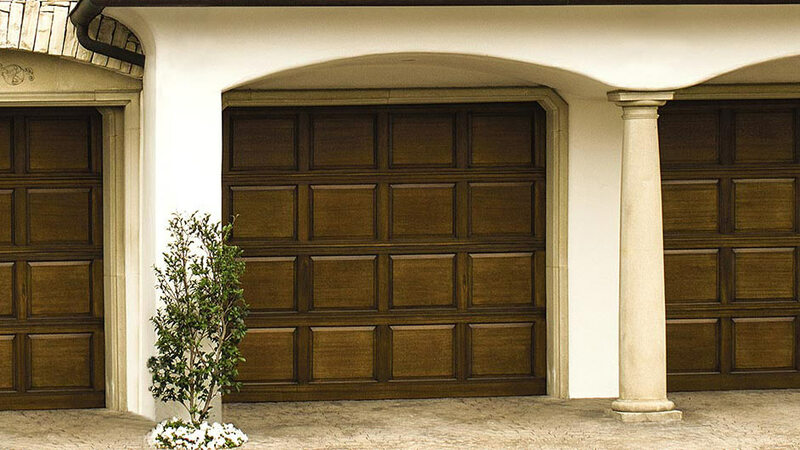 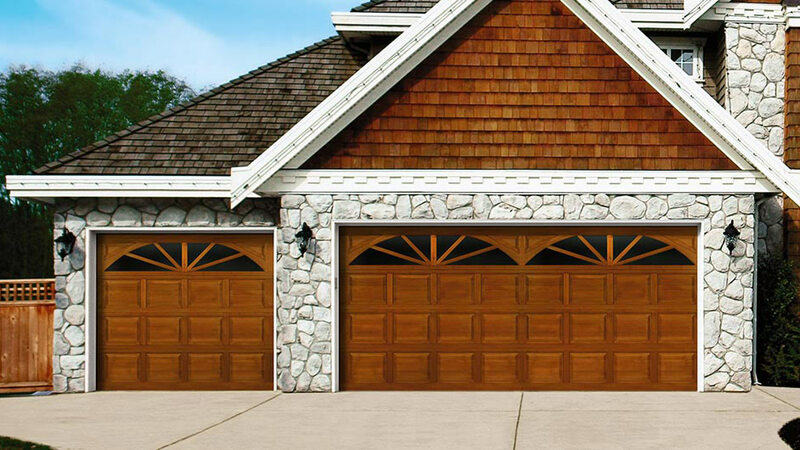 300 Series doors are constructed of 1 3/8″ thick solid wood rails and stiles and are available in a variety of carved designs for the raised panels. 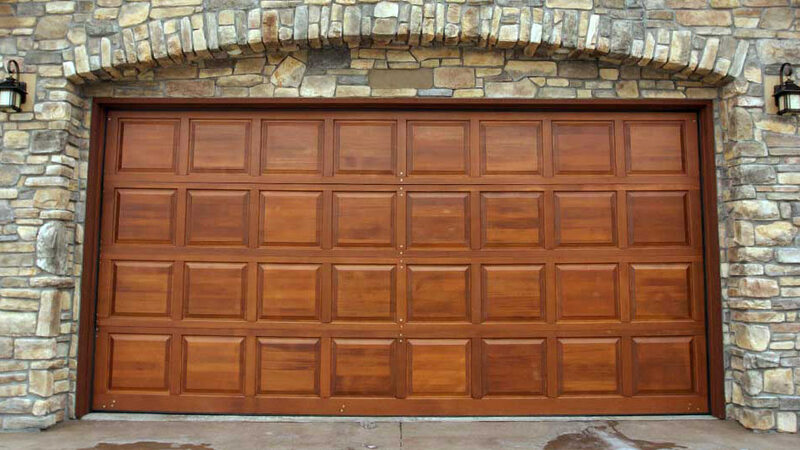 These doors have mortise and tenon joints, that are waterproof glued and steel pinned, to provide lasting strength. 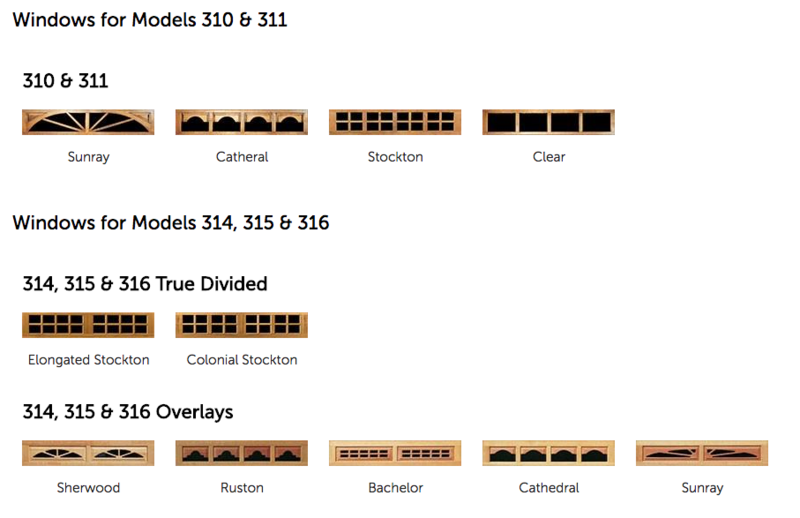 Shiplap-style connections between sections create a weathertight fit, and assist smooth operation along with rust-resistant, hot-dipped galvanized steel tracks and hardware.